El Salvador, which means “the Savior,” got her name from the Spanish conquistadores. The people there, Salvadorians, are also called Guanacos, which to some is an endearing term and to others, is considered derogatory. El Salvador is located in Central America between Guatemala and Honduras. She is the only country in Central America that does not have a coastline on the Caribbean side. El Salvador borders the Pacific Ocean and is considered to be a fantastic surfing location, with international contests held there each year. El Salvador is the smallest country in all of Central America, yet the most densely populated. She gained independence from Spain in 1821 and then from the Central American Federation in 1839. Life has not been easy since independence nor throughout the colonization period. Before the Spanish arrived, the area was made up of two large Indian states. The main tribe was the Pipil. The Pipil managed to defeat the Spanish troops in their first invasion but then fell to them in 1525. The Spanish made the Indians work, give up their land and pay large taxes. Hundreds of years later there was a horrific event called “la matanza” or “the massacre”, when in 1932 the peasants (mostly Pipil) were summoned to the town square under the guise of reform, instead 40,000 of them were slaughtered. After that event, the surviving Pipil population hid their Indian identities, changed their dress and spoke Spanish instead of their native language. The current population is 97 percent mestizo (a combination of Spanish and Indian) and there is only one percent of the indigenous population left. Only a few remnants of the Pipil language remain as the official language of El Salvador today is Spanish. Coup attempts and guerilla warfare finally ended in El Salvador, after the terrible civil war that lasted from 1979 to 1992. At least 80,000 perished during the war and many fled the country. In fact, nearly 20 percent of the population migrated to other nations out of fear, mainly to the United States, and have never since returned. Thankfully, El Salvador is now on the mend with democratic elections widely held. The population is mostly Catholic by a large majority and protestant. Although they still face significant challenges with gangs, drugs and poverty, they are headed in a better direction. Just recently the late Archbishop Oscar Romero became the first ever native son to reach beautification (the final stage to sainthood in the Catholic Church) He was shot to death during a mass in 1980 and was a devoted advocate for the poor. To date no one has been prosecuted for his murder. Many celebrated Romero’s beautification in the streets of El Salvador along with expats around the globe. Hit with natural disasters shortly after the peace agreement was signed in 1992, an attempt was made, on an environmental front, to expand the tropical forest cover, which was mostly decimated throughout their troubled history. It is one of the few countries in the last two decades to work towards reforestation. Nature and preservation is important to Salvadorians and Lake Llopango, surrounded by volcanos and mountains, is one of their most beautiful sightseeing spots. Another popular tourist spot is called the City of Witches or “Sihuatehuacan” that was founded in 1708 and now called Santa Ana. It said to hold El Salvador’s most important architectural and cultural treasures. The historic, capital city, San Salvador, is located in the interior of the country. Known as “the land of volcanoes”, its youngest volcano, born in 1770, is called Izalco and was once known as “the lighthouse of the Pacific” due to its fiery activity. In 1976, a worker in a bulldozer doing some land clearing to build a new grain silo, hit a wall, which led to the discovery or a pre-Colombian settlement that had been buried by volcanic ash some 1400 years ago. Joya de Ceren a.k.a. “Pompeii of the Americas” became a UNESCO world heritage site in 1993. One can only wonder what other treasures lay beneath the volcanic soil. The volcanoes provide the country with extremely fertile farm land. Coffee is their largest crop, mainly grown in the mountain regions and sugarcane is the most common crop along the coast. While their export of agricultural products is robust, the country brings in even more funds from the loyal expats living abroad. In 2001 El Salvador adopted the US dollar as its official currency, prior to that it was the colón. Soccer is the national sport in El Salvador and they are truly passionate about it. In 1969, a war broke out called the Soccer War or the 100 Hour War, between Honduras and El Salvador. The war precipitated from earlier border conflicts but culminated during the World Cup Qualifying event when fans got out of control and escalated into riotous violence, including setting the stadium on fire and bombings by the military. The rivalry between the two countries continues today, yet one famous player emerged, Jorge Magico Gonzales (the Magician,) who is considered to be one of the best El Salvadorian soccer players of all time. Some believe that had he been born Brazilian or Argentinian, he would be ranked amongst the best in the world, alongside Maradona and Pele. 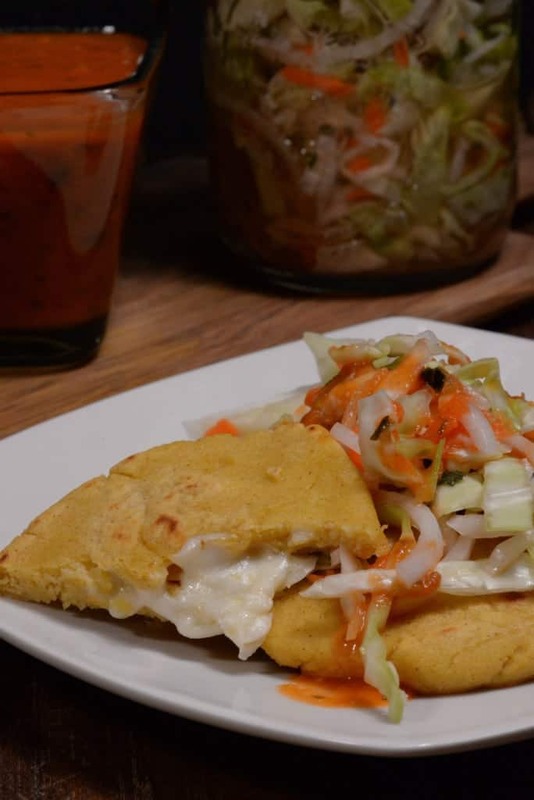 Salvadorian traditional cuisine consists of food from the indigenous Pipil, which of course bears a Spanish influence. Pupusa, considered the national dish, is a thick, handmade, corn tortilla stuffed with cheese, beans or chicharron. The oldest pupusa preparations in the world were found at the 1400 year old UNESCO site, Joya de Ceren. The dish is always served with a slaw, called curtido and a Salvadorian red salsa that is very flavorful, however not spicy. 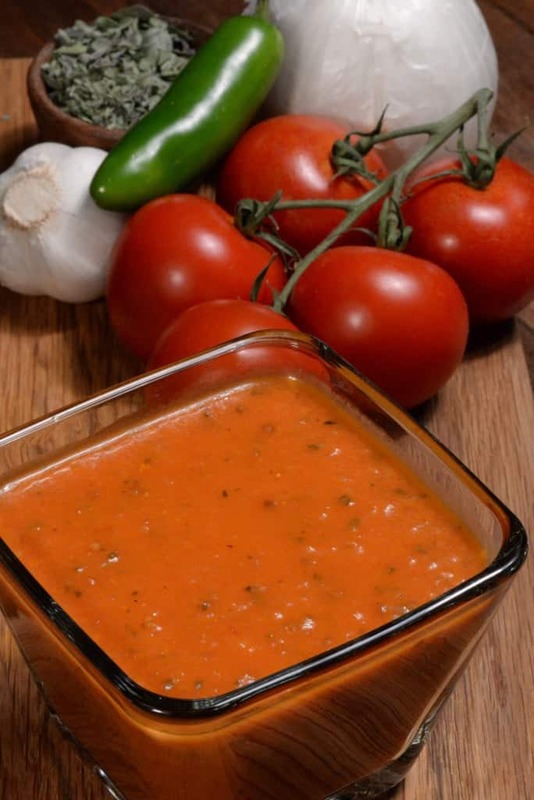 Other popular dishes are empanadas (stuffed pastries), tamales, sopa de pata (a soup made with tripe and cows feet), fried yucca, chicharon and of course casamiento (a combination of rice and beans). Seafood is a regular ingredient in the cuisine as well, especially along the coast. Beer is the most popular beverage and Pilsener is the most well-liked brand. Coffee, tamarind juice and horchata (a sweet herb and spice based drink,) are common non-alcoholic beverages. For dessert, fresh fruit and Tres Leches is loved along with semita, a coffee cake with guava or pineapple jam. 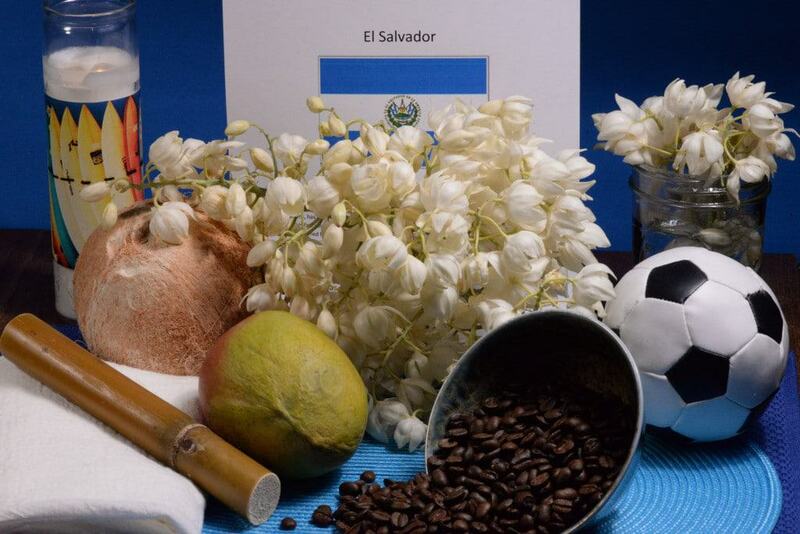 We set the table with the colors of El Salvador’s flag; blue and white. We decorated with the beautiful izote flower (their national flower) which here we call the “Lord’s candle” or “Spanish bayonet.” (I was so excited to finally get to cook these delicate petals.) We added some coffee beans and sugarcane to the décor to represent the importance of the country’s agriculture and of course we could not forget, a soccer ball. 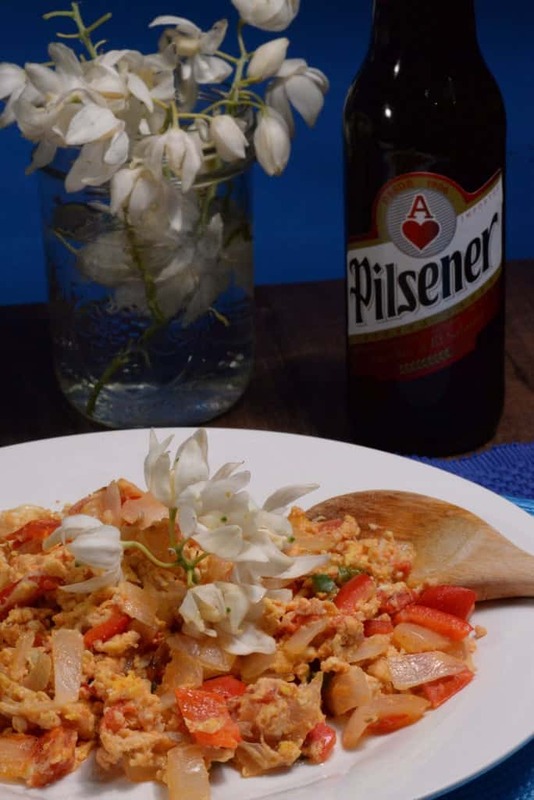 As we began the first course, we said “salud”, which means “cheers” in Spanish and then “buen provecho,” translated as “enjoy your meal.” We clinked our Pilsener beer bottles and dug into the national dish, called papusas. The corn tortillas were stuffed with Oaxaca cheese and others were stuffed with cheese and locro, another edible flower. 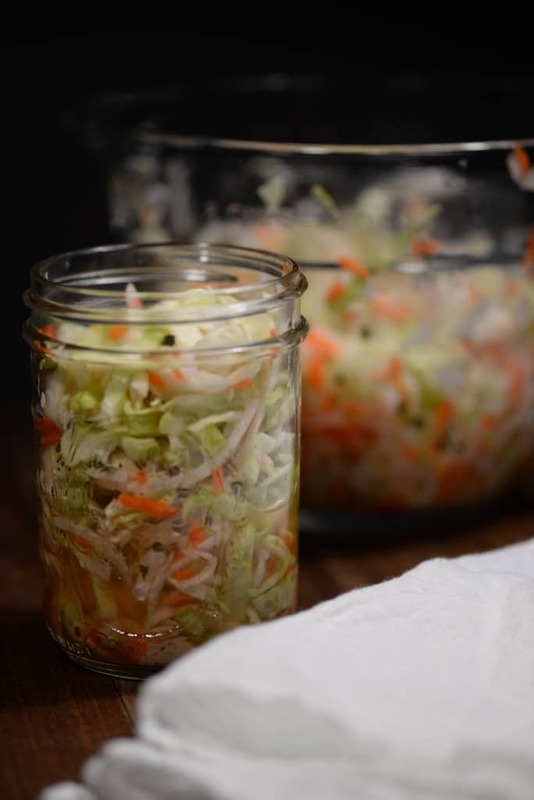 We served them with a delicious vinegar, type slaw made of cabbage and flavored with oregano. The flavor and texture of the slaw was the perfect accompaniment to the papusa and was embellished with an excellent mild, tomato salsa. For the main course, we cooked the izote flower with egg dish. The delicate petals of the izote blossom are very similar to the leaves of an artichoke that lay close to the heart. Making this dish was a bit labor intensive. First, you first need to locate the izote, which for me, living in the high desert was easy, however elsewhere, they may be tough to find. I learned about cooking these petals from a local woman who taught me some native foraging skills. Her ancestry is Spanish/Indian and it was awesome to be able to cook this dish in honor of her homeland, El Salvador. Once you find the flower, you’ll need to remove the stamen from each blossom. (This is the labor intensive part.) Once the petals are cleaned and boiled, they are added to the egg dish. The flavor of the dish was superb and with it we had the best, Salvadorian refried beans ever! 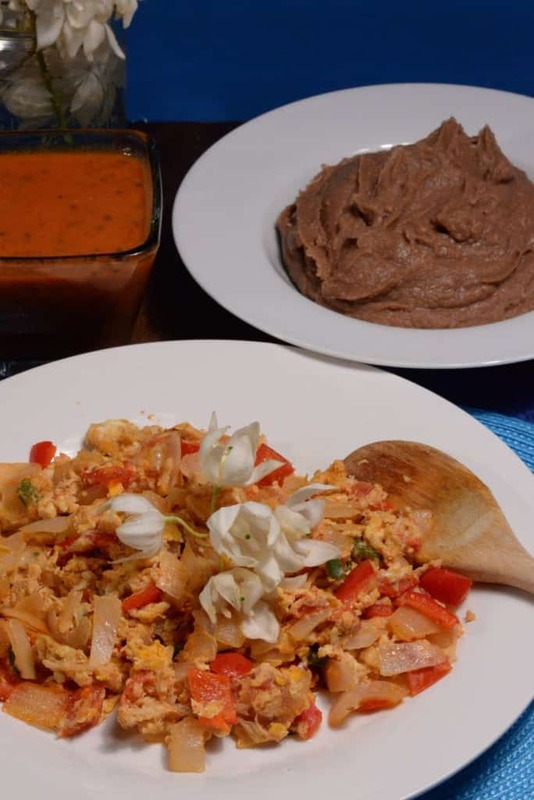 Often beans and rice are served together in El Salvador but the izote dish is served with refried beans alone and all I can say is that these beans will definitely go on the favorites list. Yum! For dessert, we enjoyed a popular street food; mango on a stick. The street vendors in El Salvador must clearly be more talented than I am to cut the mango in the shape of a flower. However, the taste was delicious with a light dusting of chili powder, salt and a squeeze of lime juice. 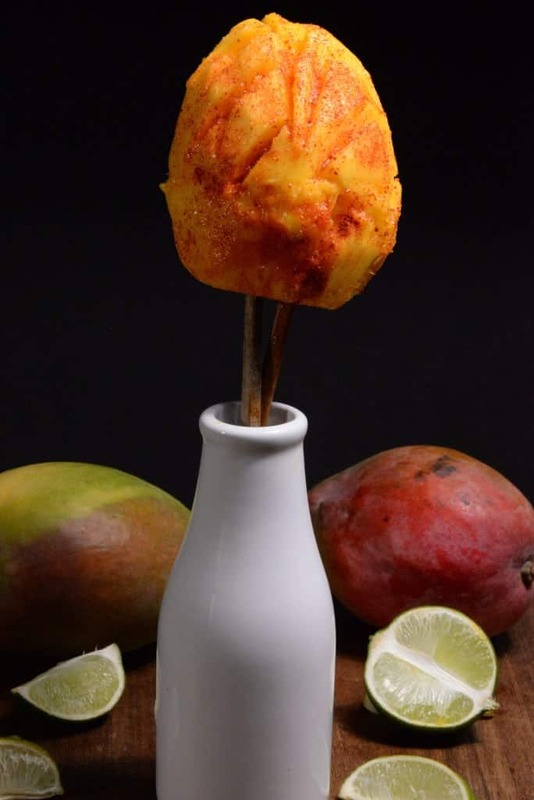 Mango on a stick, is a perfect treat for a hot summer day or anytime! As we say goodbye to El Salvador we do so with a few El Salvadoran proverbs and with a prayer that they continue on their path to healing. He who takes on too much, squeeze little. It’s fair that he who tried to steal yours, loses his.